Interface is one of te world’s largest carpet manufacturers. A leader in producing sustainable carpets, they are pioneers in the development of bio-based and recycled materials. One of their current projects contains the making of carpets from discarded fishing nets; the Net-Works project. Fifty-eight percent of Interface’s raw materials are recycled and bio-based. The Interface factory uses a closed water loop system, and the company has reduced its CO2 emissions globally by 95% compared to 1996. "85% of Interface's raw materials are recycled or bio-based"
Throughout the world, discarded fishing nets are creating serious environmental problems. 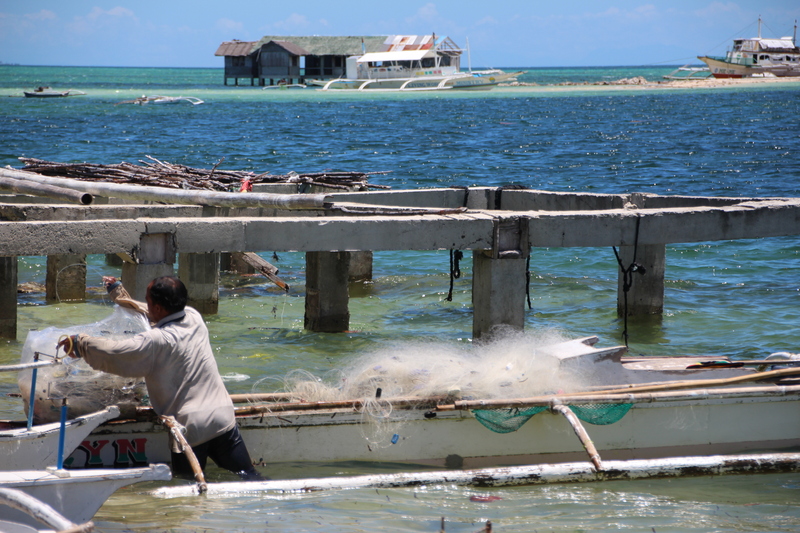 Within the Net-Works programme, fishermen collect those nets from coastal areas in developing countries. Their supplier uses the fishing nets as raw material for yarn, which, in turn, is used by Interface to manufacture new carpets. Using discarded fishing nets from poor coastal areas has many advantages. The project reduces the amount of scrapped fishnets that endanger local wildlife. In addition, less new raw materials need to be used to manufacture carpet tiles. Lastly, selling nets is another stream of income for the local population, allowing them to save for future investments and education for their children. Interface collaborates with the Zoological Society of London, an organisation specialised in marine conservation. 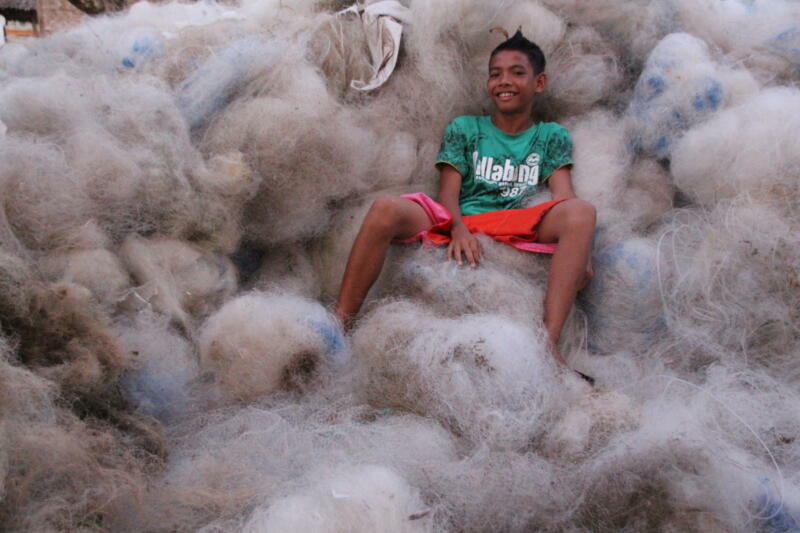 Aquafil recycles the nets and turns them into new yarn. Cooperation with partners from a completely different sector is a logical step in creating inclusive circular business models, addressing the United Nations Sustainable Development Goals (SDGs). 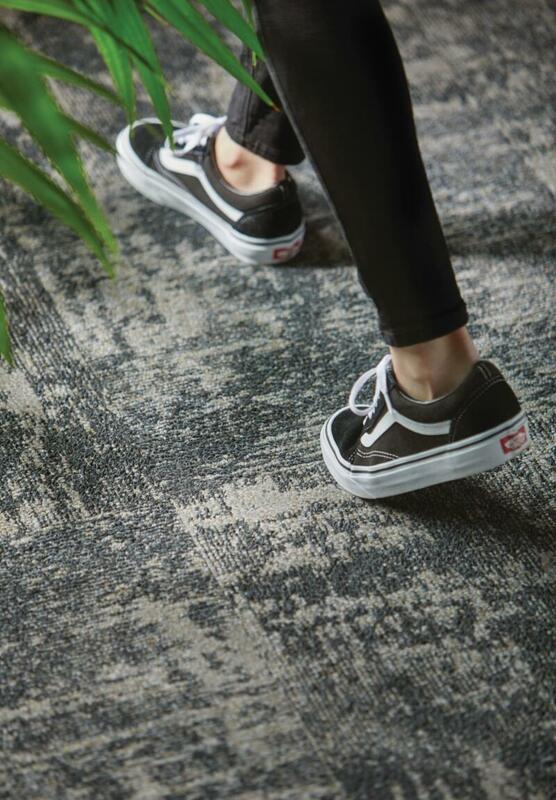 In the same way, Interface has worked on developing bio-based alternatives for both the yarn and the backing of the carpet tile, all coming together in Conscient, a carpet tile with virtually no emissions.